Dia. 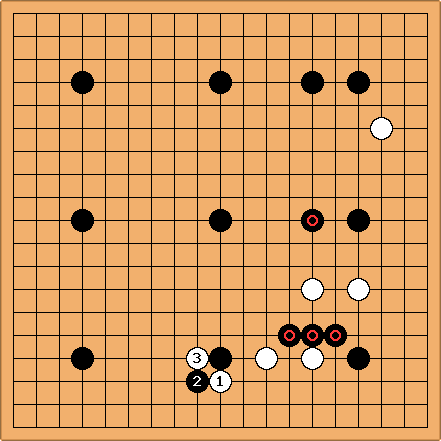 tderz: Often I do play this opening as white in our club. I taught them  moves as , , and (out, out, split!). I think is better than at a.
Dia. : I also taught them that white (I guess not only me) very much dislikes , because it works so well together with the two . 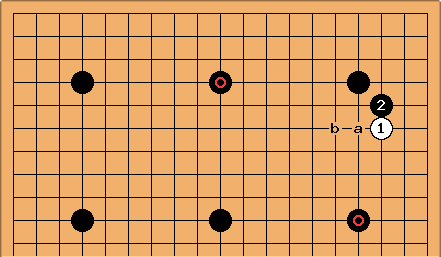 Often I play at b instead of a in order to avoid "book" moves. 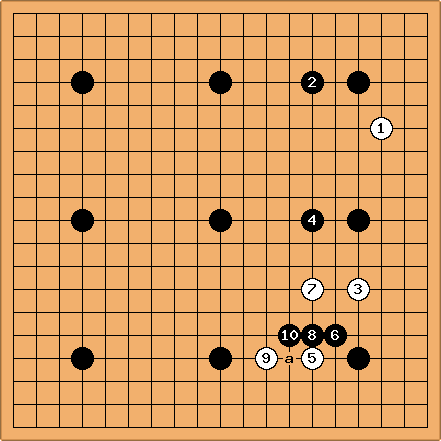 Knowing this, Black better had played there. Dia. : - are trying for sabaki. Could you please comment on the moves?